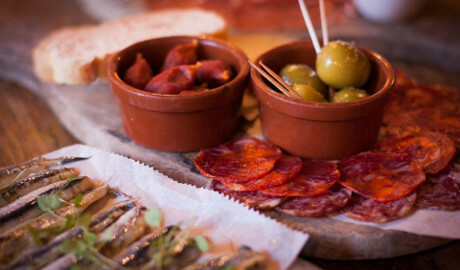 La Viña, the Spanish tapas restaurants and bars on North John Street in Liverpool and Deansgate in Manchester, are proud to be launching a new menu, inspired by the very best cuisine Spain has to offer. Using only the highest quality ingredients, and produced with a twist of La Viña especialidad, the new dishes have been carefully crafted by development chef of the year (Craft Guild Of Chefs), Glenn Evans. La Viña’s new menu will add a dash of brio combined with Spanish warmth for the coming season, and the expert La Viña team are looking forward to delivering the ultimate Spanish dining experience to their guests. New arrivals to the food menu include an irresistible Suqueta - a Catalan-style fish stew of prawns, white fish, mussels, and clams in a rich tomato, saffron and almond sauce, while the new Pollo Con Salsa oozes deliciousness, with succulent chicken breast strips arriving in a creamy, sherry, spinach, almond and date sauce. The additions are perfectly combined with some of La Viña’s classic Spanish dishes on the menu, including mouth-watering Croquetas, signature Chorizo and Albondigas which have remained as firm favourites with La Viña guests over the years. As well as an extensive range of sharing plates, the iconic La Viña menu also boasts a spectacular range of Specialty mains, including succulent Iberica Bellota Pork and delicious Rubia Gallega Beef, both served with caramelised shallot, slow roasted tomato, garlic roasted chestnut mushrooms and a salsa verde de ajo. The drinks menu has also benefited from several new additions, including a fabulous section of forgotten classic cocktails and a wonderful range of new Craft Beers from the Catalonia and Basque regions of Spain.